This case of 500 rounds in .308 Winchester is enough to equip a whole hunting party. 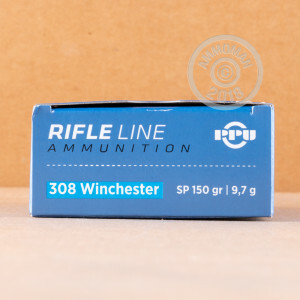 Ideal for battle rifles like the M-14, FAL, and AR-10 as well as bolt-action rifles like the Remington 700, these soft points are equally at home in the field or on the range. Made in Serbia by Prvi Partizan (PPU), they will deliver great accuracy and terminal ballistics against paper or critter targets. 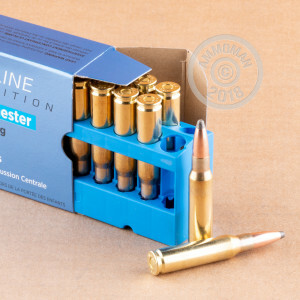 PPU has over 80 years of experience in manufacturing military and hunting cartridges, and uses non-corrosive Boxer primers and reloadable brass cases in its products. Since its founding in 1998, AmmoMan.com has built a dedicated customer base that has discovered the benefits of our shipping policy for volume orders. That policy is simple: All orders over $99 ship for FREE no matter the actual freight cost. We work our shipping costs into our list prices so you can see what you're paying up front and don't have to worry about being ambushed at checkout with outrageous handling fees.